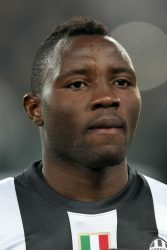 Kwadwo Asamoah has been speaking regarding Chelsea’s interest in his services and has confirmed that he would work with Conte again, according to reports from ‘ghanaweb’. The 27- year old Juventus midfielder is a reported target high on the Chelsea shortlist, driven by arriving Manager Antonio Conte and the player is certainly not adverse to the deal happening, having the following to say. “I haven’t spoke to Conte yet. But he bought me to Juventus and gave me something I didn’t have. He gave me the courage and confidence to do everything when I go to the field”. 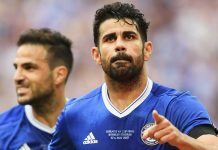 Conte is expected to begin working on these deals as soon as he officially takes the reigns at Chelsea, once his National team commitments are up with Italy after the Euro Championships.